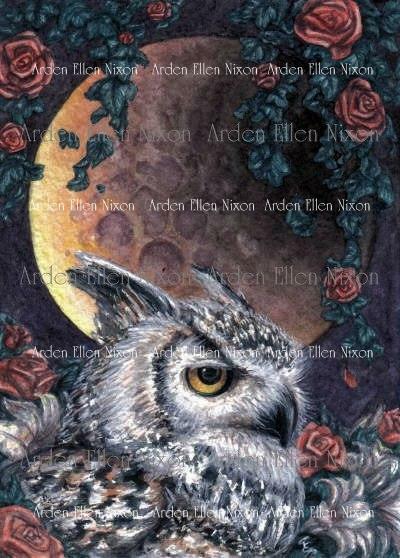 An owl might seem an easy-out in regards to a magical symbol, but its history as a creature of wisdom, of the night and of the day, bear out its purpose as a harbinger of things otherworldly. Within him is the power to act or the will to simply be. The roses above and below are desire and passion; the lilies are purity of thought, be it abstract or otherwise. Both guide decisions and inspire magic; whether it is black or white is a matter of perspective and intention. The magician is above all a master of duality, like the moon above that is still eclipsed by the shadow of the earth below.